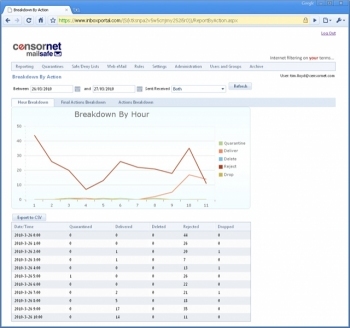 CensorNet MailSafe is a hosted e-mail filtering and management service that allows you to control inbound and outbound e-mail, protect against viruses and spam and in the event of a mail server failure it allows you to access your inbox over the web. Unlimited archive storage provides a continuous backup of your e-mail. Stopping spam before it reaches your mail server improves your bandwidth and reduces the load on your mail server.